The Income Tax (Substance Requirements) Order 2018 has amended the Isle of Man Income Tax Act 1970 to impose requirements on Manx tax resident companies who receive income from geographically mobile business activities to demonstrate they have adequate substance in the Isle of Man (IoM). The Order sets out a three part test which can be used to assess the substance requirements of a company – all three parts must be passed to trigger the requirement to demonstrate substance. Test 1 – is the Company IoM Tax Resident? Generally, all IoM 2006 and 1931 Act companies are tax resident in the Isle of Man, by virtue of their incorporation, so this test is passed even where an IoM Company is managed from elsewhere. However it is possible in rare cases for a Manx company to be non-resident in the IoM for tax purposes pursuant to the terms in a Double Tax Treaty Agreement with another jurisdiction (e.g. the UK). Test 2 – Is there any income arising to the Company? Where there is income in the accounting period the test is passed – note the test is an income rather than profit test so the test is still passed by a loss making company with turnover. Test 3 – does the Company receive its income from a relevant sector? As an exception, to demonstrate it has adequate substance a pure equity holding company need only (a) comply with its statutory obligations under whichever of the Companies Act 1931, Companies Act 2006 or Foreign Companies Act 2014 is relevant and (b) have adequate people and premises for holding and managing the equitable interests or shares. As a result the Assessor will exchange all of the information, provided by the company, with the relevant foreign tax official where the immediate parent company, ultimate parent company and/or ultimate beneficial owner is resident. Such exchange of information will be in accordance with any existing international tax exchange agreements and will occur irrespective of whether the substance requirements are met. To rebut this presumption and avoid further sanctions a high risk IP company will have to produce relevant materials to explain how the key development and maintenance of the IP has been under its control and that it has involved people who are highly skilled and perform their core activities in the IoM. More detail of the specific sectors can be found within the Order itself. The Assessor of Income Tax in the Isle of Man will be responsible for enforcing the new requirements and for imposing the penalties due. In practice corporate tax returns will be amended to collect the information needed to monitor compliance with the substance requirements. The Assessor may, in respect of any accounting period, request any additional information in order to satisfy them that a relevant sector company meets the substance requirements. The proposed legislation includes robust and dissuasive sanctions for failure to meet the substance requirements. The sanctions are progressive and include financial penalties, with the ultimate sanction leading to the striking off of the company from the Companies Register. As stated the Assessor will also spontaneously exchange relevant information with the EU Member State competent authority where the immediate parent company, ultimate parent company and/or ultimate beneficial owner is resident, if the substance requirement is failed (and in all high risk IP cases). 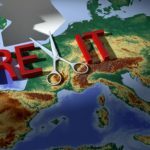 Continuing failure – Failure in fourth accounting period – Exchange information with owners home tax authority (if in EU) and issue a notice to Registrar to strike off the Company. Any appeals will be heard by the Commissioners who may confirm, vary or reverse the Assessor’s decision. This new legislation will have a significant impact on many companies within the IoM who must now consider whether they will be caught by the substance legislation three part test. If so then there is only a short amount of time to demonstrate to the Assessor that they are compliant with the substance requirements to avoid the substantial sanctions listed. Many companies will easily be able to identify whether or not they fall within one of the relevant sectors. Companies managed by corporate service providers may need to assess whether they have the necessary substance, particularly in respect of physical presence and personnel. Steps must also be taken to ensure that the evidence to support substance demonstration is appropriately documented. Where there are any difficulties with meeting the requirements consideration will need to be given to what restructuring can be undertaken. 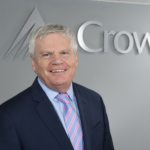 How can Crowe Isle of Man help? If you feel your business may be affected by this legislation then it is important that you act quickly and begin to take the appropriate steps now. Please contact the Crowe team for advice or to discuss.